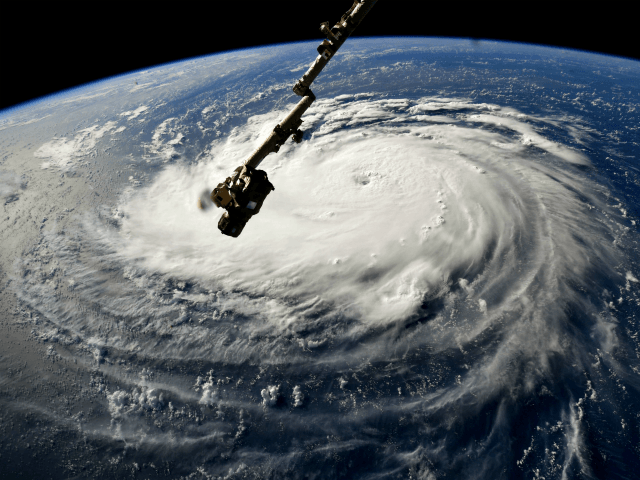 The 1950s was the stand-out decade for major hurricane strikes in the Carolinas, with Hurricane Hazel in 1954 doing major damage, even as far north as Toronto. Hazel’s destruction of Myrtle Beach, SC led to a massive rebuilding effort that transformed that community forever. 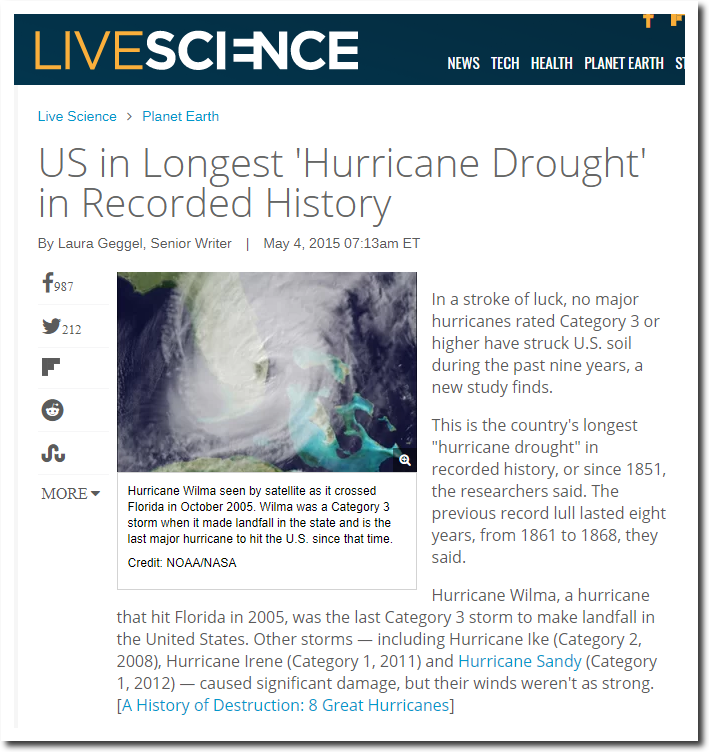 For sure, there has been an increase in hurricane damages over time, as infrastructure along the U.S. Gulf and Atlantic coasts has increased dramatically. There is simply more stuff for Mother Nature to destroy. But I doubt that the luminaries attending the Global Climate Action Summit this week can understand that increasing damages would occur even without any climate change. 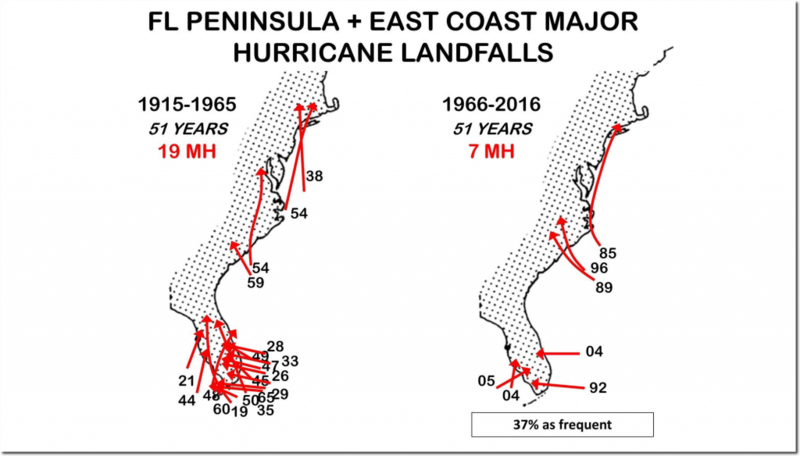 According to Roger Pielke Jr., east coast major hurricanes are down more than 60% over the past 50 years. 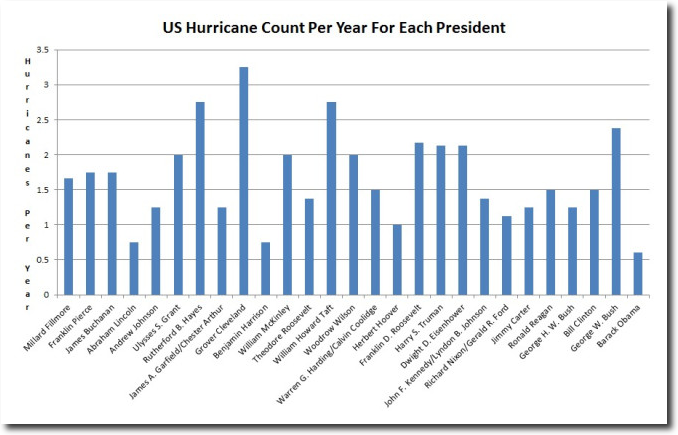 If the Washington Post wants to blame presidents for hurricanes, then the top three perpetrators are Grover Cleveland, Rutherford B. Hayes and William Howard Taft.